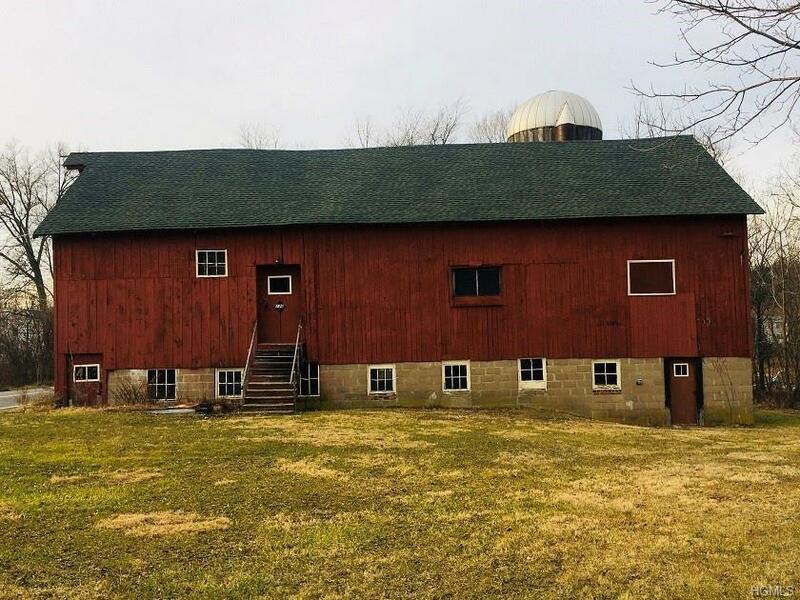 1840 Dutch barn filled with history on 3.2 acres. 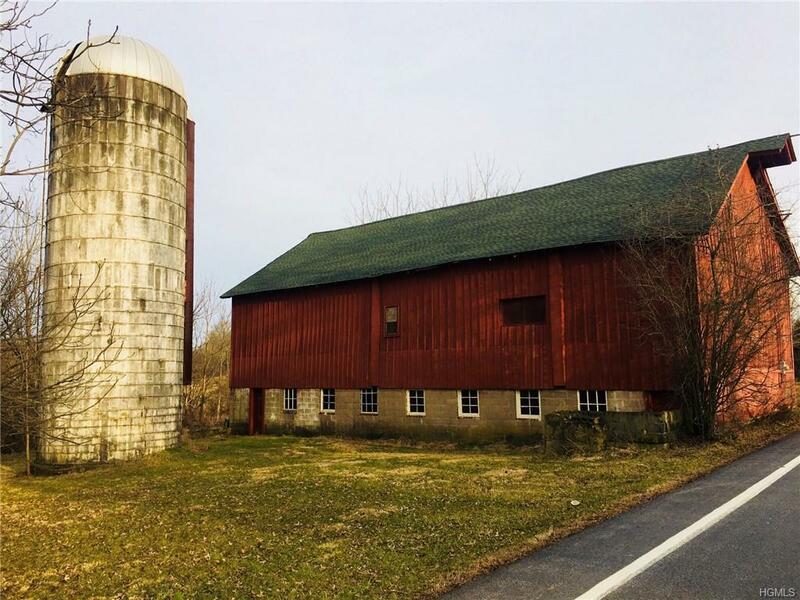 Weathered wood siding, rough hewn beams and original silo. 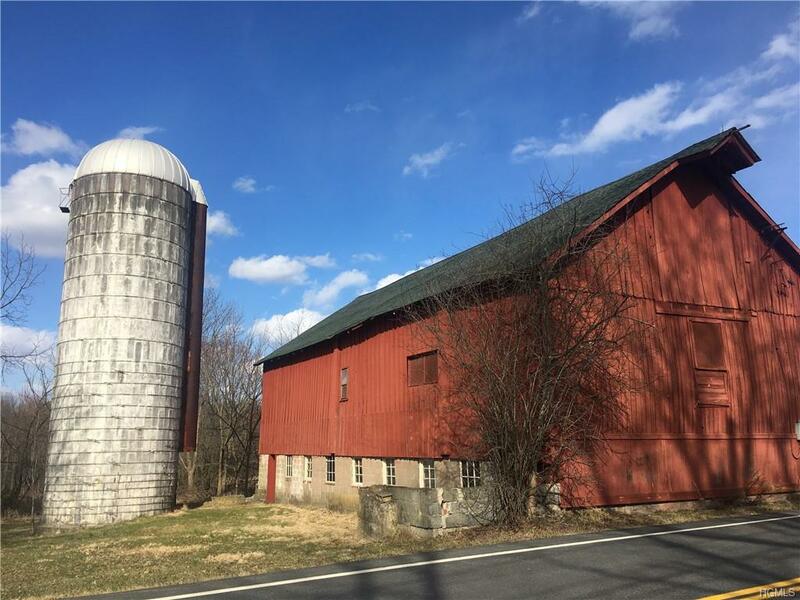 Level property is partly cleared and wooded as well, on a beautiful country road with historic properties. Exposed structural framework, impressive span wood beams, concrete block foundation and hay loft. Second floor is finished and separated into 4+ rooms with wood flooring and electric throughout. First floor includes plank flooring, original dairy equipment includes milking parlor feeding and watering stalls with original stanchions. 4 year old architectural 30 year roof. Property zoned for agricultural use/residential. 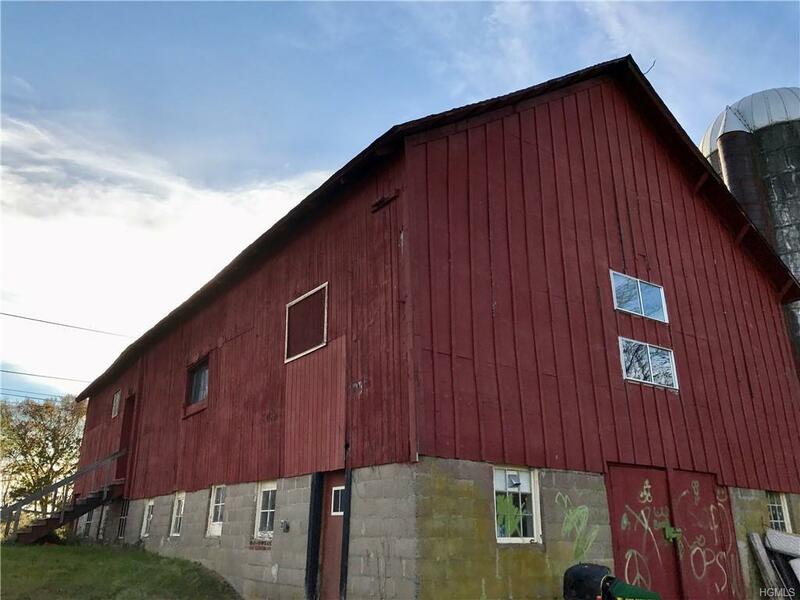 Barn is approximately 4,000 square feet. Perc test and deep pit tests done in the past. Convenient to Route 17 and NYS Thruway, Goshen Main St. restaurants and shops, Trotters Hall of Fame, 60 minutes to NYC. Bring your ideas and own a piece of Goshen history! Perfect for artists and craftspeople. Listing courtesy of Nancy Rosaler of Bhhs Hudson Valley Properties.